0.1 Working on Concrete can be harder than it looks!! Working on Concrete can be harder than it looks!! 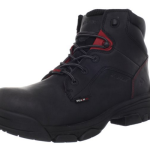 Looking for the best work boots for concrete? “My Name is Bill, I’ve been a builder for over 15 years. I used to get really bad leg cramps and lower back pain while working on Concrete slabs all day standing walls frames without the right Work Boots. 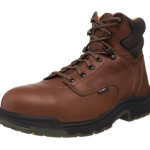 I’ve been searching for the best work boots for concrete to make those hard days work a lot easier. It’s amazing how much difference a quality pair of work boots combined with a quality pair of inner soles make to your comfort and enjoyment levels at work. 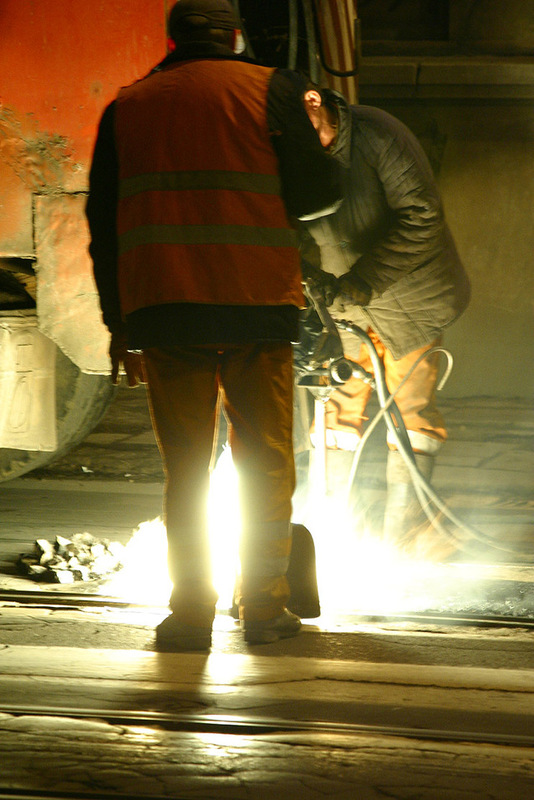 Concrete is one of the most common building materials used in the construction industry. It is a really great product that is designed and created to be as hard as possible. It seems like the perfect work surface. Flat smooth and level. The problem is your legs, lower back and feet will start to take a silent beating from the density of the concrete. Not straight away but it will occur over time. It’s even possible to develop plantar falsities. A real nasty foot injury. I know that when I didn’t have the right work boots I could feel my legs starting to ache and cramp after about 4 hours. That ends up being a real leg cramper to be standing and working on all day long. And that’s the problem, you really know about it when you work on concrete for more than about 4 hours your legs, Solution ?feet and lower back can start to get SORE and ache. Enough to ruin your day. 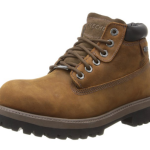 If you spend more than a couple hours working on dense hard concrete then you need to find Work Boots that will relieve stress and pressure from your lower legs, feet, lower back, and joints. 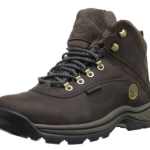 To really add to your comfort levels it is a great idea to buy a pair of work boot insoles to insert into your Work Boots to really reduce the pressure and stress of spending extended periods of time standing and walking on rock-hard concrete. These Inner soles are easy to find and make a huge difference for a good price. When working in concrete you need to be properly prepared with the correct Work Boots. 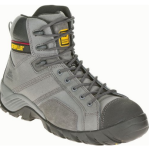 These Boots are specifically designed to be worn during the process of pouring wet concrete to form a concrete slab. This can be a really tricky job at best of times as the concrete is getting fast. 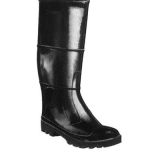 You need good reliable rubber Boot that you know you can trust and will get the job done. A good kick rim is also a great feature so you able to kick your work boots off without having to use your hands. 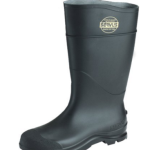 MuckBoots have proven themselves to make the best 100% waterproof work boots going around, hands down. 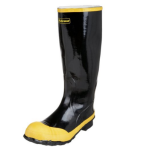 They are made from 50% rubber and 50 % nylon which creates an excellent protector from the worst conditions of mud and concrete. 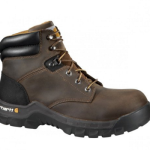 If you spend your working days in deep mud, water or concrete than making sure you have a look at this top-rated waterproof work boot. 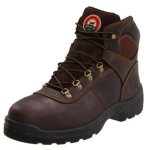 Customers love this work boots and there is a lot of great reviews from customers who really love these boots. 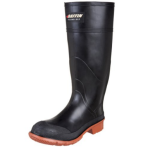 Check it out and work dry and comfortable! When you’re working on concrete for long periods of time you can really feel how dense this surface become. Your legs can really ache and develop leg cramps. 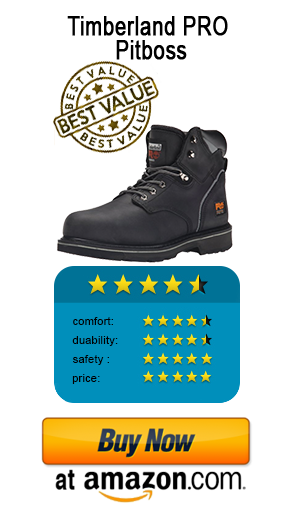 That’s why it is so important to pick a work boot with quality shock absorbing cushioned soles. 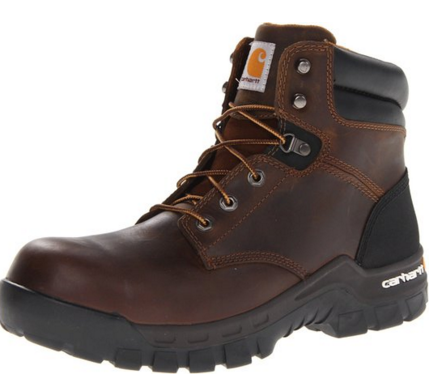 This Carhartt work boot has a removable Ortholite and polyurethane cushion for added comfort that makes you feel like you’re walking on a cloud. 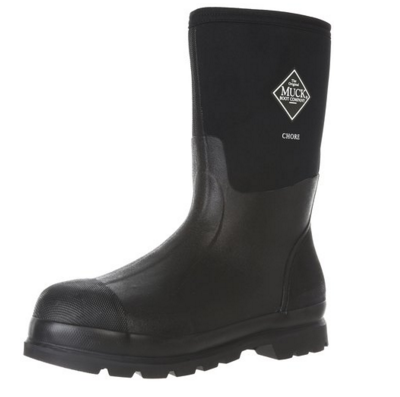 This Boot is lined with a nylon moisture absorbing inner liner that is going to help a lot when you’re standing on hard surfaces all day long. 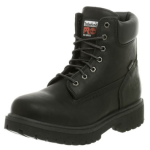 These are the best work boots for working on concrete for long periods of time. Still searching! 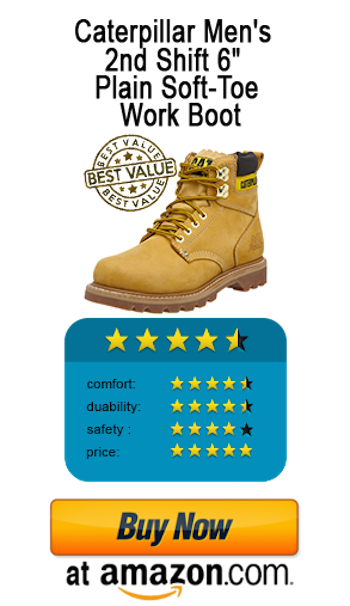 Take a look at our guide to the best work boots available!